Barking Rabbits: Whodathunkit? 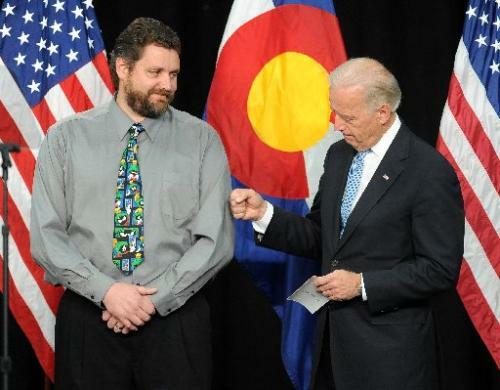 My nephew is getting punched in the arm by Vice President Biden. Whodathunkit? My nephew is getting punched in the arm by Vice President Biden. Boy, some real harsh comments in the comment section. Much of Colorado is still pretty much a red state.